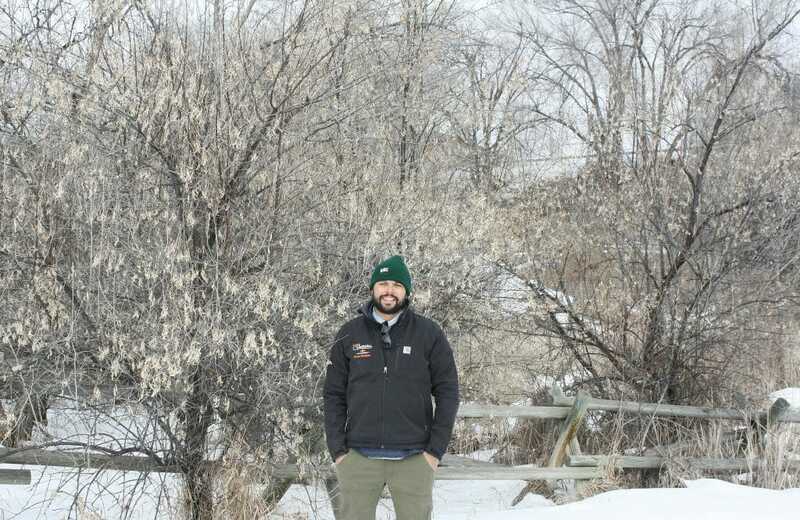 Clark Van Hoosier, City of Sheridan Arborist, stands in front of Russian olives that will be removed this spring from Sam Mavrakis Fishing Pond. The City of Sheridan and Sheridan Community Land Trust are working together to remove the invasive species from 10 acres of park throughout the community. The removed Russian olives will be replaced with native trees and shrubs. If you see some bare spots around Sam Mavrakis Fishing Pond and Hume Draw this spring, don’t be alarmed. 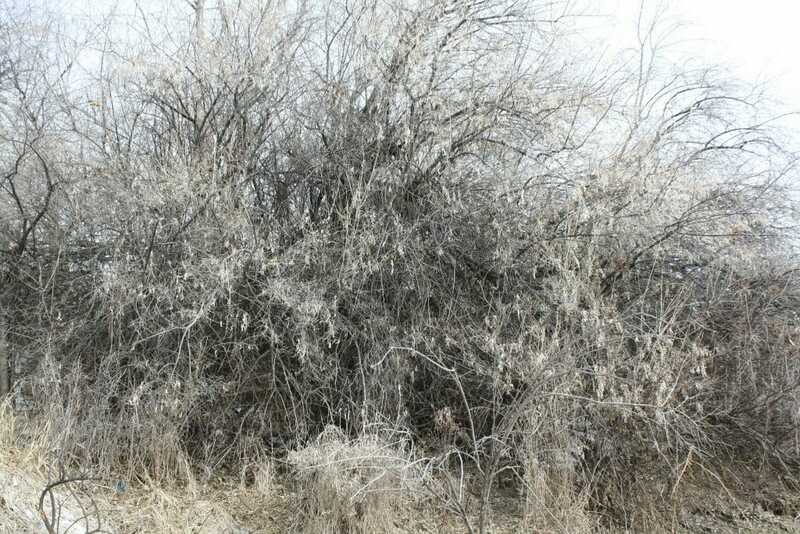 City of Sheridan staff will be doing their patriotic duty by removing an invasive foreign menace – the Russian olive. 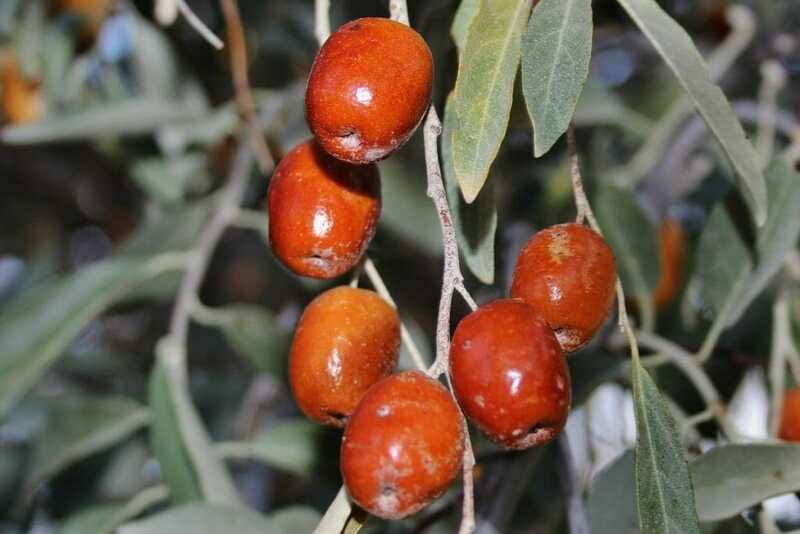 Since it was first introduced to North America in the late 1800s, Russian olive has steadily spread across the country thanks in large measure to our furred and feathered friends who unwittingly carpet bomb the landscape with seeds from the shrub’s ripe fruit – a literal red menace. 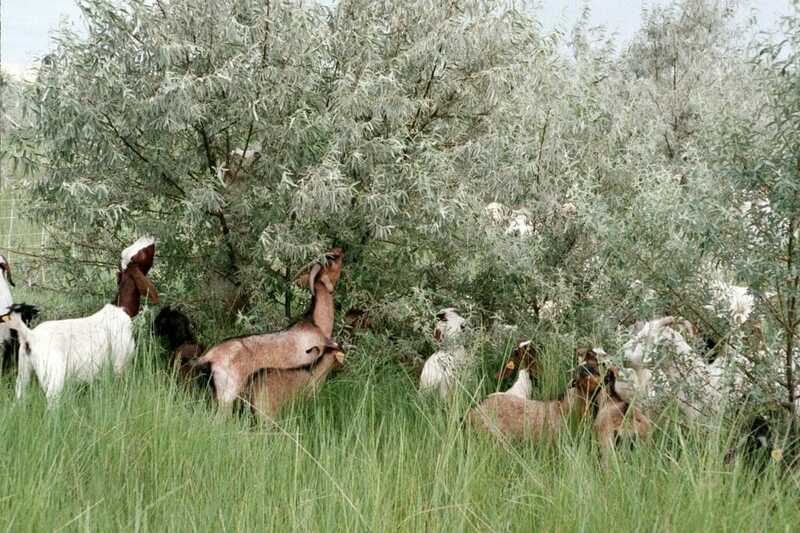 Animals of all kinds feed on Russian olive fruit, unwittingly helping the invasive plant spread throughout the landscape. Photo courtesy Washington State University. The Russian olive’s ripe red fruit are too often too tantalizing for wildlife to pass up. And when they don’t, seeds pass through their guts and spread throughout the landscape with helpful doses of fertilizer making it even easier for this quick-growing plant to get a “roothold” wherever its seeds wind up. Photo courtesy Washington State University. A classic colonizing species, once on the ground, Russian olive seedlings grow quickly, often on barren or disturbed land. Add to that its high survival rates and fast maturation, this arboreal interloper can quickly choke out native trees, shrubs, and grasses. So much so, that Russian olive is classified as a noxious weed in Wyoming, which means it cannot be sold commercially and each county must develop a control plan. Russian olive, like this one in Hume Draw, outcompetes native riparian trees and shrubs like cottonwood and willows. Once removed, the Russian olives will be replaced by seven native species selected specifically to grow well locally. To remedy that, Van Hoosier and Peter Veinbergs will be the City of Sheridan’s Rocky and Bullwinkle as they irradiate Boris and Natasha, stands of Russian olive, from Sam Mavrakis Fishing Pond and Hume Draw. Fortunately, the olives will be put to good use. The chips will serve as mulch for a new generation of native trees, shrubs and grasses. Those include birch, alder, aspen, maple, Ponderosa pine, hawthorn, and chokecherry. “We have selected species that are native, riparian-friendly and beneficial to wildlife,” Van Hoosier explained. The project is made possible through a Wyoming Wildlife Natural Resource Trust grant awarded to Sheridan Community Land Trust aimed at covering the cost of removal. That grant is coupled with additional funds from The Nature Conservancy and Natural Resource Conservation Service. “This is a great project partnership where SCLT and the City of Sheridan can work together to accomplish overlapping goals that benefit wildlife and native plant communities,” offered Brad Bauer, Sheridan Community Land Trust Executive Director. For the City of Sheridan, those dollars will go even farther. Van Hoosier explained there was room in his department’s budget to pay for the olive removal, meaning the $4,500 in grant funds can be used to purchase far more native trees and shrubs than what would have been otherwise possible. It will also allow South Park to be “de-olived,” meaning that the Bolshevik baddie will be expunged from a full 10 acres of Sheridan parks. One of many invasive Russian olives that will be removed at Sam Mavrakis Fishing Pond, Hume Draw and South Park. SCLT has grant money available for landowners who are interested in removing Russian olive from their property. Contact SCLT today to set up removal on your property. Both Van Hoosier and Bauer encouraged landowners to consider removing invasive Russian olives and replace them with native vegetation. “I think it would be wise for anyone who’s property is adjacent to the Goose Creek watershed or a major irrigation ditch to consider removing their Russian olives,” Van Hoosier stated, and advised folks to make sure anyone they contract is qualified and insured. To assist residents, he said a list of licensed contractors will be on the City of Sheridan’s website soon. Bauer said grant funds are still available, though to qualify, removal must be complete by June 30. With work set to begin in early April, Van Hoosier and Veinbergs will be Putin most of the Russian olives around Sam Mavrakis Fishing Pond and Hume Draw out to pasture soon. “The Goose Creek watershed plays a vital role in the community and we would be wise to protect it,” Van Hoosier concluded. To inquire about grant availability, please contact Brad Bauer at Sheridan Community Land Trust by phone (307) 673-4702 or email director@sheridanclt.org. 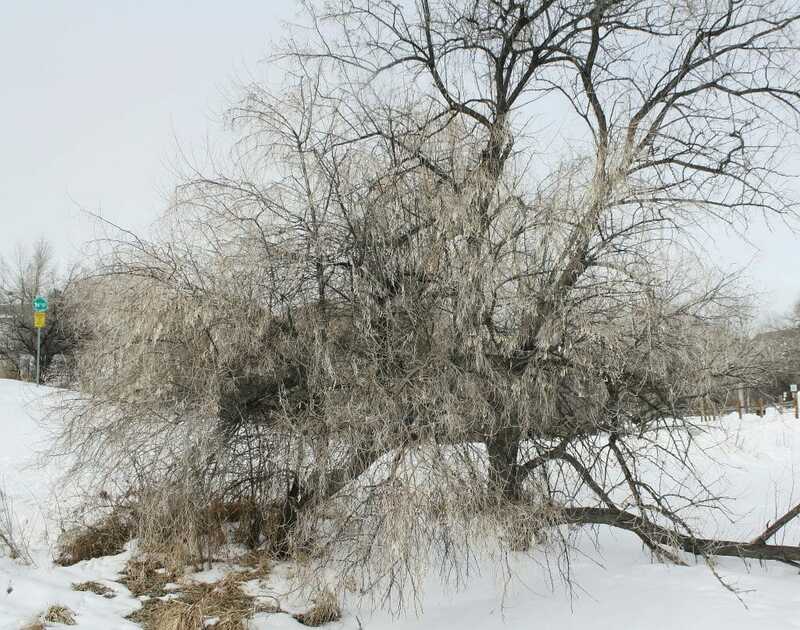 For more information about Russian olive removal in the City of Sheridan, please contact Clark Van Hoosier by phone (307) 752-5792 or email cvanhoosier@sheridanwy.net.